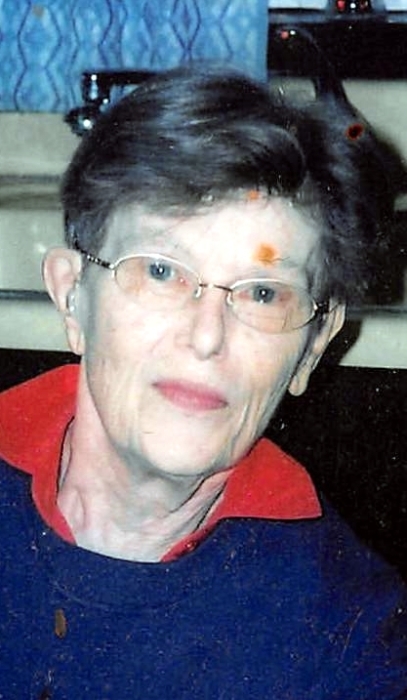 Dixie J. Larson, 81, of Little York, IL passed away at 7:15 am, Sunday, March 17, 2019 at Seminary Manor, Galesburg, IL. Dixie was born April 29, 1937 in Monmouth, IL the daughter of John and Mildred (Johnson) Murphy. She was raised and educated in Monmouth, graduating from Monmouth High School in 1955. Dixie married Philip V. Larson at the First Lutheran Church in Monmouth on September 4, 1955 and he survives. Dixie was a homemaker and farm wife. She was a member of the First Lutheran Church of Monmouth and sang in the church choir. She enjoyed gardening, flowers along with watching the Chicago Bears and Chicago Cubs. Survivors include her husband, Philip Larson of Little York. her sons, Jay (Teresa) Larson of Aledo, Josh (Tina) Larson of Keithsburg; her daughter, Jana (Scott) Blankenship of Dexter, MO, grandchildren, Cory Zenk, Tyler Zenk, Jordon Blankenship, Jessica Blankenship, Daniel Larson, Rebecka Larson, Brian Larson, and Mary Beth Giddings; 6 great grandchildren; her brother, Dan R. (Mary) Murphy of TX; 1 niece and 1 nephew. She was preceded in death by her parents, son, John V. Larson; and grandson, Dustin Larson. Graveside services and interment will be 11:30 am, Saturday, March 23, 2019 at Warren County Memorial Park, Monmouth. Visitation will be Saturday morning from 9:30-11:00 am at McGuire & Davies Funeral Home and Crematory, Monmouth, IL. Memorials may be given to the Dixie J. Larson Memorial Fund.